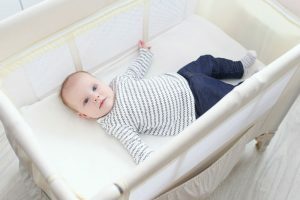 With all the useful features of a travel crib that you can lug around anywhere, choosing the best that suits you and your baby’s needs can be a little complicated. 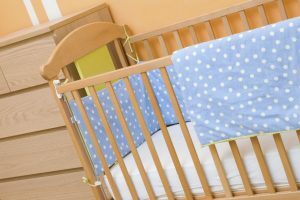 Some cribs are ultralight and compact, while others are a bit heavier but offer more durability. In this travel crib comparison review, we will help you explore two of the most notable brands in the market; Graco and Guava Family. 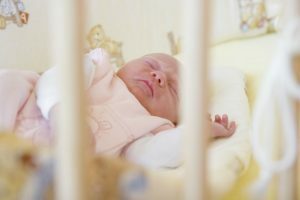 There are many factors to consider when looking for a travel crib. Below are some criteria and features you may prefer that suit your lifestyle. 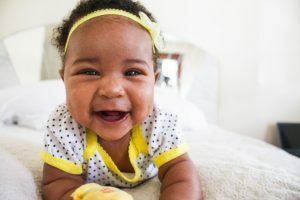 Having a baby means you will be spending more for one more person. For some, the price may not be an issue. But if you are looking for the most value for your money, spending less for more feature can be a better choice. Graco and Guava Family are both known reliable brands that manufacture cribs and accessories. Both brands compete at the top, but one of them is more reasonably priced. Graco offers a travel crib with stages for half the price of the Lotus Travel Crib by the Guava Family. This gives the Graco the upper hand. Graco’s crib weighs 20 pounds while the Lotus weighs 13 pounds. If you frequently travel, a lighter travel crib is easy to lug around without any problem. However, Lotus can be a little flimsy compared to the stability Graco provides. The size when assembled and disassembled also plays a huge part in selecting the right travel crib for you. Graco’s Travel Crib stands at 35 inches tall and consumes 2ft by 2ft and 10inches of floor area. The lotus is 10 inches shorter and occupies 2ft by 3.5ft space. When disassembled, the Lotus is packed in a bigger bag but offers back straps for easy carrying. In tight places, a smaller crib can be handy and will allow you to have more space to move around freely. Unfortunately, Lotus does not have wheels. The value of wheeled travel crib is exceptional. You can move around your little one and park the crib wherever you are in the house. Your little angel will never be out of your sight. This adds a fantastic value to your travel crib. Graco’s travel crib features an easy 5-step setup that can be done in 10 seconds. You only need to straighten all four sides and press down the base to lock all parts. This crib can also be disassembled as fast as the deployment. It features its signature pack up button that unlocks all four sides to easily fold the crib. The mattress included wraps that fit snugly around the crib and are secured with Velcro straps. When folded, the crib fits nicely in its bag with all the accessories. Guava Family’s Lotus travel crib is as easy and takes a few seconds to set up, too. All you need to do is straighten the legs and stretch the sides to deploy the whole crib. You would have to tie each foot with a string from the base of the crib. This crib easily unfolds to a 2ft by 3.5ft haven for your little one. Packing it up would not require help since it’s very light. You would have to disengage the two levers from the side and fold it following a Z-pattern. The mattress wraps around the folded crib nicely and fits snugly in its storage bag. Graco’s travel crib features three stages of use. It includes a bassinet attachment for newborns up to fifteen pounds. It also includes a deeper bassinet attachment that accommodates a baby up to 20 pounds. Stage three is a 35-inch tall crib that is suitable up to a three-year-old toddler. Lotus does not have a bassinet attachment but comes with a side opening where you can crawl under and cuddle your baby. Travel crib comparison shows that both cribs are equipped with breathable mesh cloth that promotes ventilation and keeps your little one cool. This travel crib comparison guide zoomed in the capabilities and special features of both cribs and we can say that both of them are equally valuable but they do have some differences. In this case, you can choose one that suits your preferences the best. If you want a multi functional crib, go for the Graco travel crib. But if you value light weight above all, then the Lotus travel crib will be the best option for you. 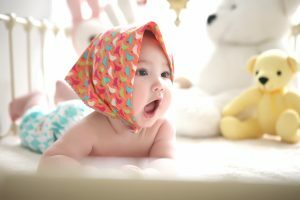 We hope you had fun reading this and that you have learned about what you would love to have on your travel crib! If you have questions or other concerns, don’t hesitate to leave a comment below and we will get back to you soon.